Since inception, we have been promoting a fitness lifestyle to the general public through the various fitness activities we offer. We educate our members on how to exercise properly and safely so they can achieve the maximum benefits from their fitness program. We inspire our members with unrivaled energy and provide the finest modern equipment and fitness knowledge available to ensure they achieve their individual potential. Who says there is no fun in working out? At Shapes Fitness Center many of our members say the time spent in Shapes Fitness is the high light of their day. 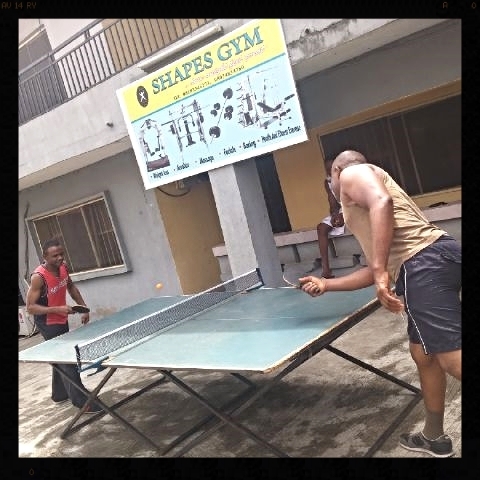 Joy Okafor: "I joined Shapes gym since the beginning of the year and I have been able to reach and maintain my desired weight of 75kg. The dance class is a fun and effective way of losing weight". Joke: "The aromatherapy massage is the way I like to unwind and pamper myself after a stressful week". James: "The staff are always so friendly and efficient I now bring my whole family along to the gym because there is something for everyone".